"Der Vorschlag der EU-Kommission zur Urheberrechtsrichtlinie schafft Rechtsunsicherheit. Rechtsunsicherheit kann zu Rechtsstreitigkeiten führen und stellt somit ein hohes Risiko dar, das die Finanzierungschancen erheblich reduziert", sagt Christian Miele von eventures. 20 Vertreter deutscher Wagniskapitalinvestoren und Business Angels haben gerade einen offenen Brief an alle Mitglieder des Europäischen Parlaments geschickt, indem sie die geplante EU Copyright Reform scharf kritisieren. Initiator und Erstunterzeichner des offenen Briefes ist Christian Miele, Principal beim Wagniskapitalfonds e.ventures und Beiratsmitglied des Bundesverbandes Deutsche Startups. Die Kritik der 20 Unterzeichner richtet sich insbesondere an Artikel 11 (Leistungsschutzrecht), Artikel 13 (Upload-Filter) und Artikel 3 (Text und Data Mining). Die Unterzeichner sind davon überzeugt, dass der jetzige Entwurf der EU Copyright Reform das Innovations- und Investitionsklima in Europa stark verschlechtern und somit ein klarer Wettbewerbsnachteil gegenüber anderen Startup-Regionen wie dem Silicon Valley oder Tel Aviv geschaffen werden würde. Business angels and venture capitalists offer young entrepreneurs the opportunity to launch innovations on the market and successfully establish themselves in the Internet economy. We have contributed to the emergence of a strong, diverse and creative start-up scene across Europe, which now accounts for a significant share of job growth in the EU. Our investments include European companies such as Flixbus, Auto1 Group, Blinkist, movinga, N26, Amorelie, plista, Mister Spex, Outfittery and many other outstanding young european tech companies. Today we are addressing you with great concern regarding the proposed European copyright law reform. We fear that this legislation will damage the attractiveness of Germany and Europe for investors and stifle innovation. The EU Commission’s proposal for the Copyright Directive creates legal uncertainty, which poses a threat to startups in particular. Before we invest in an entrepreneurial idea, we prepare a risk analysis that also takes into account the regulatory framework. Legal uncertainty can lead to years of legal disputes and thus represents a high risk, which significantly reduces the financing chances of a start-up company. The existing ancillary copyright law in individual EU Member States has already had a negative impact on online media services. In Germany and Spain, for example, many companies have had to change their business models or have been discontinued altogether. These include the blog aggregator rivva, the news search engine nasuma. de, NewsClub. de, the non-commercial press review links, Historische, the news agency Radio Utopia, the search engine Unbubble.eu and the media monitoring service Ubermetrics. Small companies with innovative products and services were hit hard in particular. 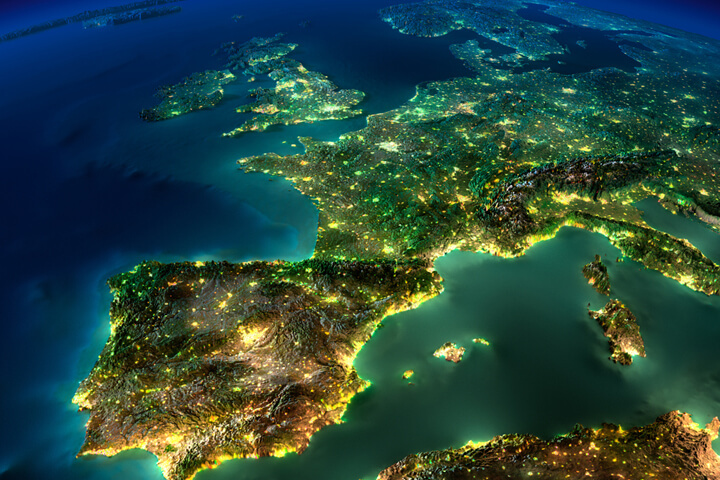 The planned European ancillary copyright law will affect a wide spectrum of startups. This creates a serious barrier to market entry for many potential founders. broad range of constantly evolving businesses and start-ups to develop. These include Ecommerce, blogging platforms, social media, content sharing (e..g. photo or video sharing businesses), businesses that rely on used to review food, accommodation or movies, open source repositories etc Mandating direct liability for user-uploads and the use of expensive (and often faulty) filter technologies will significantly inhibit the growth of existing young companies and prevent new start-ups from entering the market. A survey of 330 investors from Germany and seven other countries showed that almost 80% would not invest in online platforms that make user-generated music or video content accessible if copyright law were tightened and startups were held liable for infringements. The majority of Europe’s 1.6 million startups rely on big data analytics.1 German Chancellor Angela Merkel stressed that the future of German industry hinges on our ability to harness the value of big data. Restricting the use of big data to the noncommercial sector would deny European research- and AI-based companies a level playing field on the international market, harming EU competitiveness in these highly promising sectors. This legal limbo would likely lead to existing European startups to move abroad, propelling european Venture Capital investors and business angels to invest outside of Europe. We have the impression that many Members of the European Parliament tend to be sympathetic to traditional industries rather than young digital growth companies. Although this is understandable due to the established relationships with traditional industrial sectors, it does not take into account the great potential of new business models for long-term value creation and future jobs. We therefore urge you, in the interests of Europe’s competitiveness in the digital world, to create a flexible copyright policy that is open to new applications and additional areas of growth, rather than to nip innovation in the bud. Europe has all the prerequisites to be a strong and competitive market for innovation. The necessary capital is available and great entrepreneurial and technological talents are waiting for their chance. Please do your utmost to create legal certainty, to further increase the competitiveness of the european start-up ecosystem and to promote a breakthrough of innovative ideas “Made in Europe.